Goodyear Property Management, Goodyear Property Managers, Goodyear, AZ Property Management Companies. As the name suggests, Goodyear was originally named in honor of Goodyear Tire and Rubber Company. Long ago, the town was once farmland where Goodyear grew cotton for making tires. From 1990 to 2000, Goodyear was the third fastest-growing city in all of Arizona. 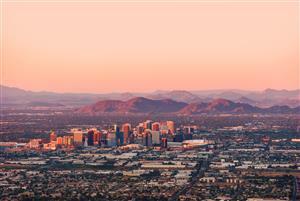 Today, this town is a part of the Phoenix metropolitan area within Maricopa County. Before there were commercial properties and Goodyear property management rentals, Goodyear was just agricultural land. In 1917, the Goodyear Tire and Rubber Company bought 16,000 acres to grow cotton. In the 1940s, an airport was constructed to help the tire company supply the war effort. After it was incorporated following World War II, the town experienced a brief period of decline. Agricultural land was sold in the 1980s for future developments. Since that time, there have been new communities and developments constructed in the area. Today, there are 22 communities built and 21 communities planned. Within the town, the largest communities are Palm Valley and Estrella. Estrella alone includes 10,000 residents and 20,000 acres. Within Goodyear, residents will find health care degrees at the Franklin Pierce University. The Cleveland Indians and Cincinnati Reds host a spring training facility at the Goodyear Ball Park. Two teams from the Arizona League and the Freedom Pro Baseball League's Goodyear Centennials also play at the stadium. For top dining options in the area, residents can check out Ada's Fish Fry, the Wildflower Bread Company, the Black Bear Diner and the Haymaker's Restaurant Co.